AOA celebrated Earth Day by conserving our first parcel of land along Big Darby Creek! 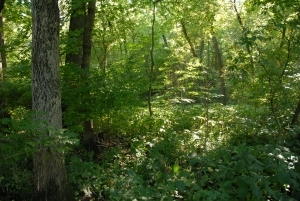 This gorgeous 119-acre site consists of bottomlands and an upland forested ridge and bluff adjacent to the Big Darby, just north of Darbyville in Pickaway County. Approximately 3,500 linear feet of natural river frontage along the Big Darby is protected by this purchase. 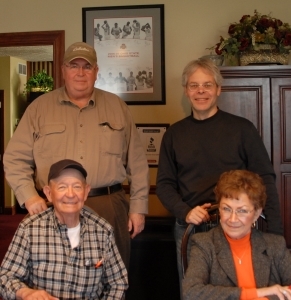 We have been working with Pickaway County residents Les and Ethel Cline for over a year to preserve this site. We are very grateful to the Cline’s for their commitment to land and water conservation along Big Darby Creek and for donating a portion of the property to AOA. This purchase was made possible by a grant through the Clean Ohio Fund Green Space Conservation Program. A $30,000 gift from an anonymous conservation donor was utilized to complete the purchase. AOA plans to return much of the current fields on the site to bottomland forest to protect the floodplain and water quality. Grassland savannahs will be established on portions of the property, providing a rich diversity of habitat. 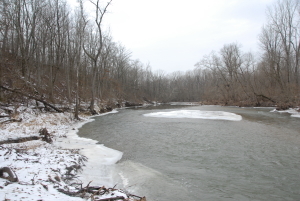 lower Big Darby Creek in Pickaway County. Ducks Unlimited is our primary partner in the Big Darby conservation project. 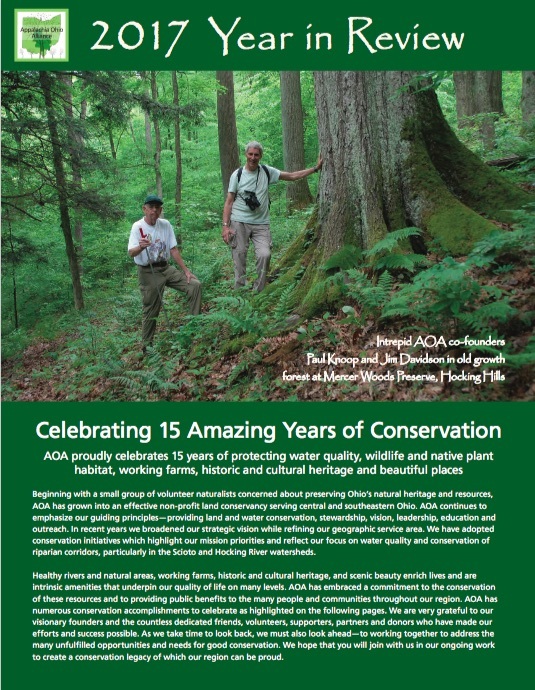 AOA’s efforts compliment those of groups focusing on other portions of the watershed such as the headwaters, the middle Big Darby in Franklin County and the Little Darby. These groups include Columbus Metro Parks, City of Columbus Parks, ODNR, The Nature Conservancy, and Franklin County Soil and Water Conservation District. Big Darby Creek is both a state and nationally designated scenic river recognized for its high water quality and biological diversity. It is considered “one of Ohio’s most valued natural resources” and one of the top streams in biological quality in the Midwest. The Cline property helps protect natural habitat for numerous species of bats, mussels and fish that have been identified as rare and/or endangered. 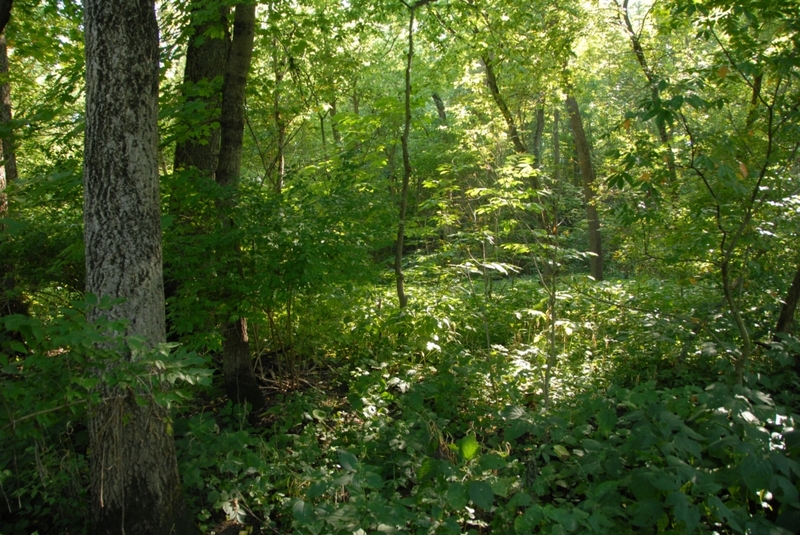 AOA is endeavoring to conserve additional properties along Big Darby Creek and is working with property owners and the community to protect this valuable resource.